Puffed rice is washed under running water and kept aside to make it soft. Chopped fenugreek leaves and onion are cooked in oil along with whole spices. Finally puffed rice is mixed in and finished with dalia powder. 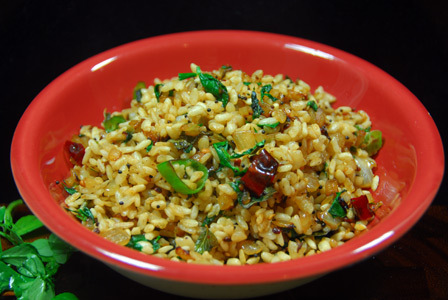 Serve fenugreek puffed rice upma as a breakfast or as a quick snack. Wash fenugreek leaves thoroughly and roughly chop it. Remove stems, wash and chop the green chillies. Peel, wash and finely chop the potato. Grind dalia / roasted gram into fine powder using a spice grinder. Soak tamarind in few tablespoons of warm water and extract the thick pulp discarding any veins. Soak puffed rice in enough water for couple of seconds to half a minute. Strain the puffed rice and keep aside. When mustard seeds start spluttering, add garlic. Fry briefly, add green chillies, potato (if using), onion and tamarind pulp. Fry for a minute or two till onion is translucent and potato turns soft and stir in fenugreek leaves. Once the fenugreek leaves are fried well, stir in soaked puffed rice and salt. Mix carefully and make sure all the excess moisture is gone (if any). Stir in ground dalia powder and serve fenugreek leaves puffed rice upma as a breakfast or as a snack. Notes: Don’t over soak the puffed rice. Suggestions: If puffed rice is over soaked, then spread it on a kitchen towel and let it dry for couple of minutes before using it. Variations: You can also check other recipes with puffed rice here. Other Names: Fenugreek Leaves Puffed Rice Upma, Menthikura Maramarala Upma. Poha / Flattened rice / Rice flakes are soaked in water to turn them soft. Shallot is sliced and fried in oil along with whole spices and scraped coconut. Once the vegetables are cooked, poha is added. The poha coconut upma is finished with lemon juice. 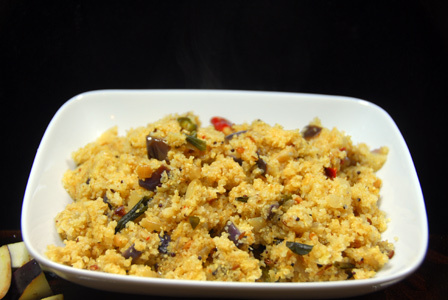 Serve poha coconut upma immediately. Makes: around 2 Servings of Poha Coconut Upma. Remove ends, peel and slice the shallots. Roughly chop the cashews (if using) and keep aside. Wash the poha under warm water for few seconds. Strain the poha and keep aside for around 5 – 10 minutes for poha to absorb the water and puff up a little. When mustard seeds start spluttering, add cashews and green chiles. Fry briefly, add sliced shallots. Fry briefly, add coconut and salt. 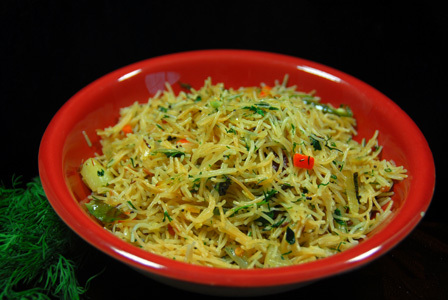 Stir in soaked poha and carefully mix and remove from heat and stir in lemon juice. Serve poha coconut upma immediately. Notes: Make sure not to over soak the poha. Suggestions: If poha is not soaked well, sprinkle water on the poha to make it soft. If poha is over soaked, spread and let it dry for few extra minutes. 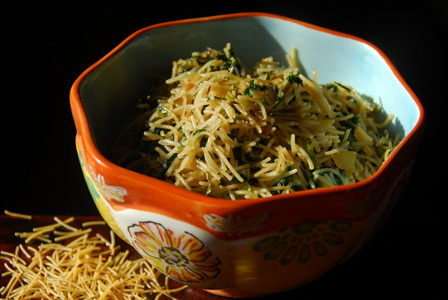 Variations: If using grated coconut, pulse the coconut couple of times before using. 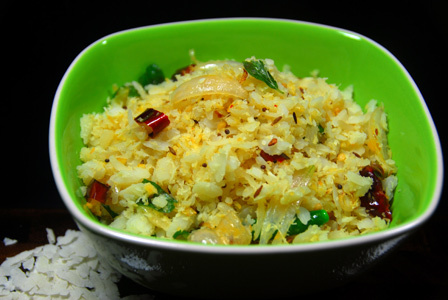 Check other recipes with poha here. Other Names: Poha Coconut Upma, Atukulu Kobbari Upma.